Since 1928, Eagle has provided families the comfort of knowing their loved ones are protected from the elements. 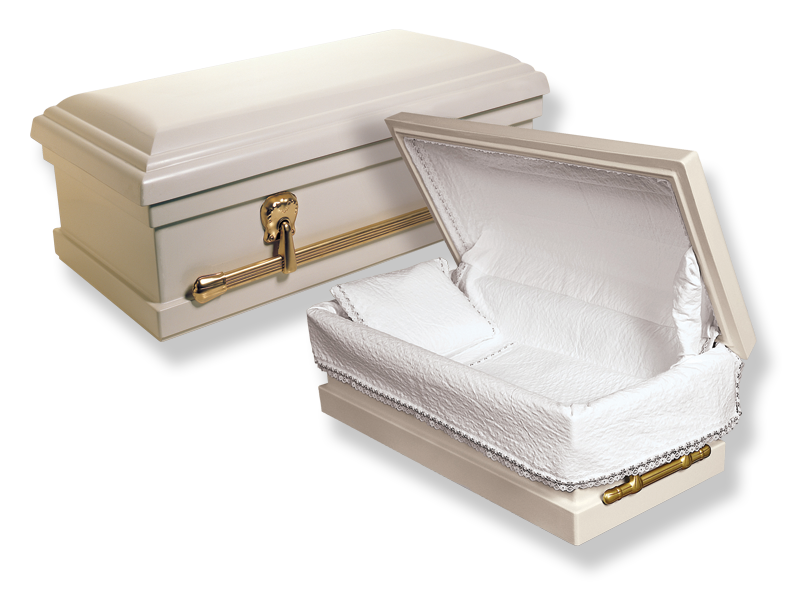 Our new Guardian Angel Classic Series is a hinged casket/vault combination for infants and toddlers, available in 3 sizes. 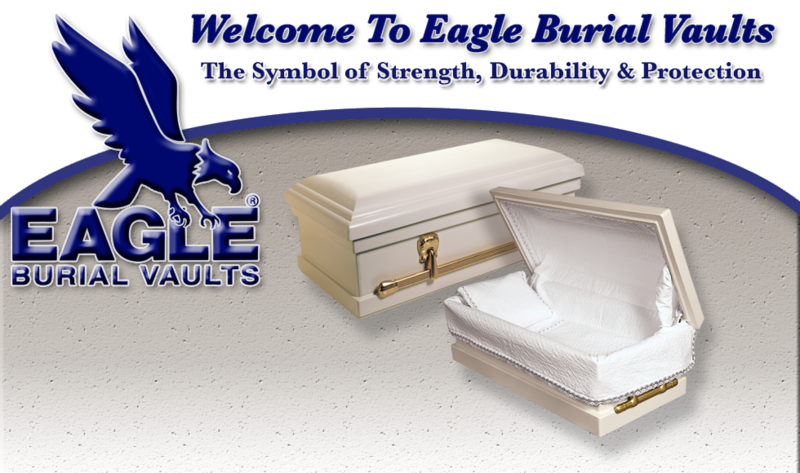 Once sealed, the casket becomes a strong and durable burial vault, providing unmatched protection at an affordable price. The Guardian Angel is crafted from “durolon”, an exclusive cast polyurethane composite and features a tongue-in-groove seal. We're so confident in the Guardian Angel's quality that we had it tested by an independent laboratory. The results were so good, we back the Guardian Angel with a 50 year limited warranty. All Guardian Angel Classics offer the strength and durability of a cast polyurethane composite. The interiors are lined with soft white textured cotton and are beautifully trimmed in aqua and white lace.